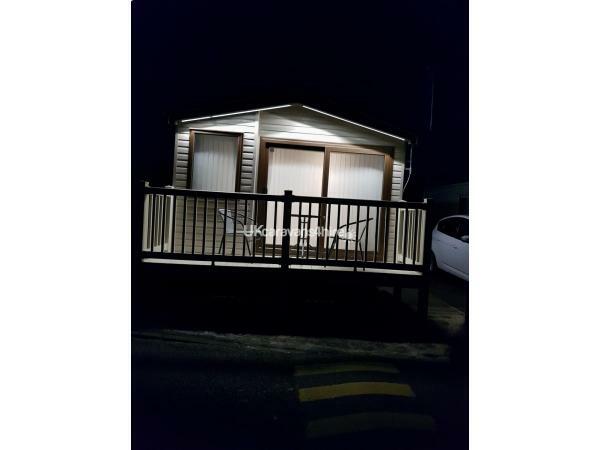 £50 non refundable deposit will secure your holiday. The balance must be paid 4 weeks prior to your stay or in full. Site passes are not included and are available to purchase at reception. 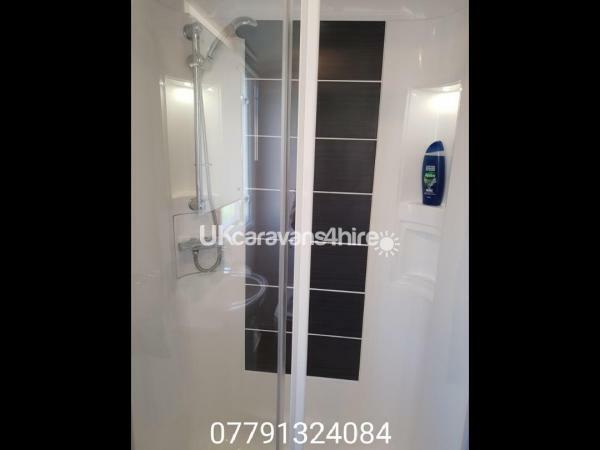 A breakage/damages charge of £100 is required this will be refunded to you after the van has been inspected that it is left clean and there is no damage or items missing. 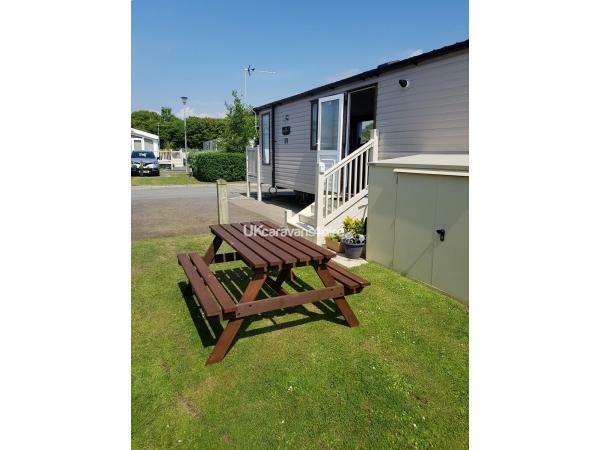 Our caravan is situated close to all amenities. 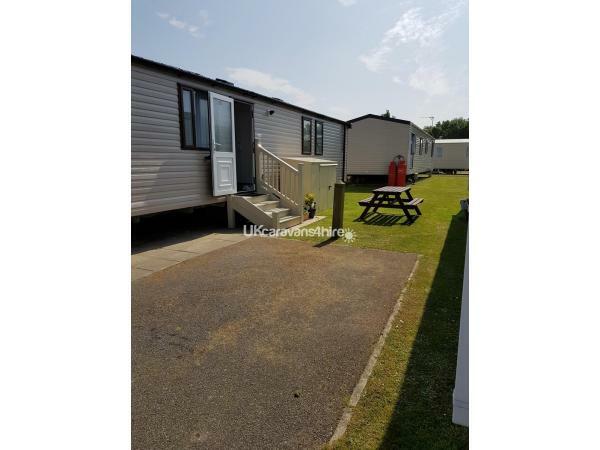 Its has 3 bedrooms 1 x double (with en suite) and 2 x 2 single beds. There is a shower room with sink and WC . 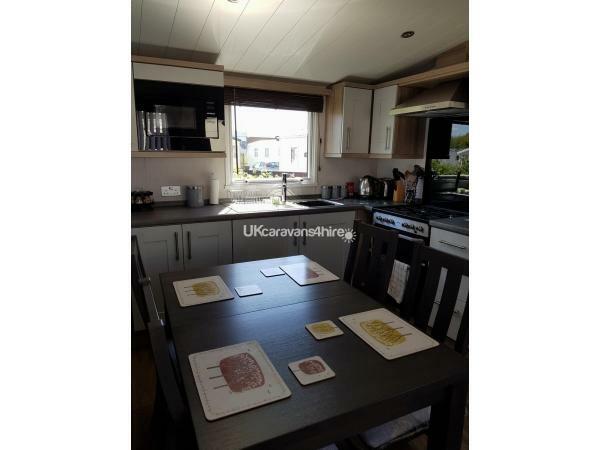 The kitchen is well equipped microwave, kettle, toaster, gas oven, fridge freezer, slow cooker, etc We Have a selection of children's games, dvd's and wii console to keep them amused. Car Parking at side of the caravan. Picnic bench on grass next to caravan. If you require certain dates please message us and we will try to accommodate. Please advise on enquiry how many adults and children (with ages) when enquiring. Check in from 3pm, check out 10:30am so cleaning can be done. Additional Info: Cala Gran Holiday Park is well equipped with several play areas, swimming pool, Jacuzzi, steam room, eateries, shop and launderette. Kids club and entertainments. For the younger ones there is character breakfasts, soft play area. There is bus stops outside the park and tram stop nearby. Across the road from the park is Farmer Parrs, Freeport is a five minute drive away. Asda is a five minute drive from the park. Diane was a fantastic host, she was extremely helpful and flexible. 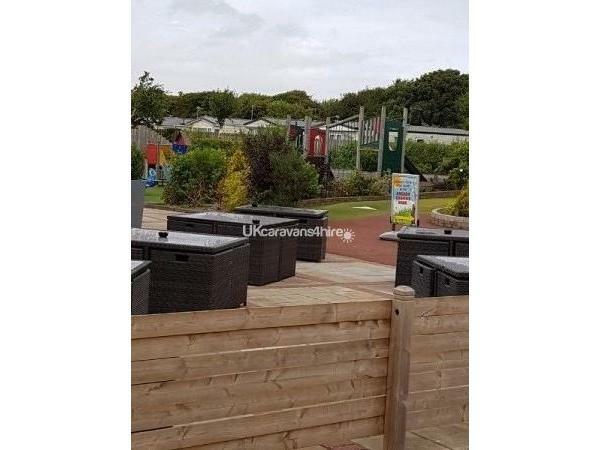 The caravan was wonderful. New, clean and modern, with lots of thoughtful extras such as tea/coffee, sauces, spices, tea towel, oven glove, cleaner etc. 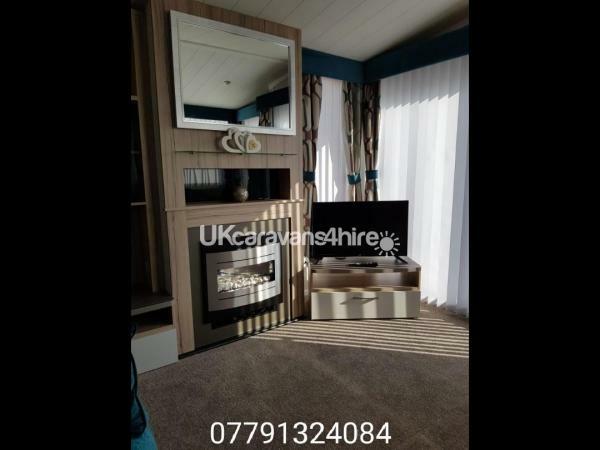 It made our short visit so much better, and the caravan felt very homely, with lamps for mood lighting and a TV in the lounge and master bedroom. 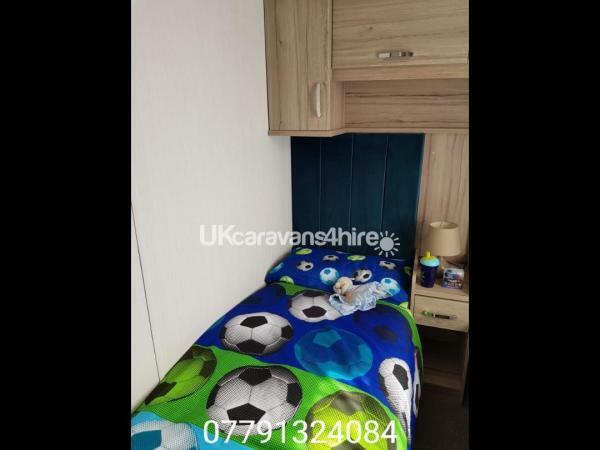 The caravan is very close to the site facilities which is good for families. 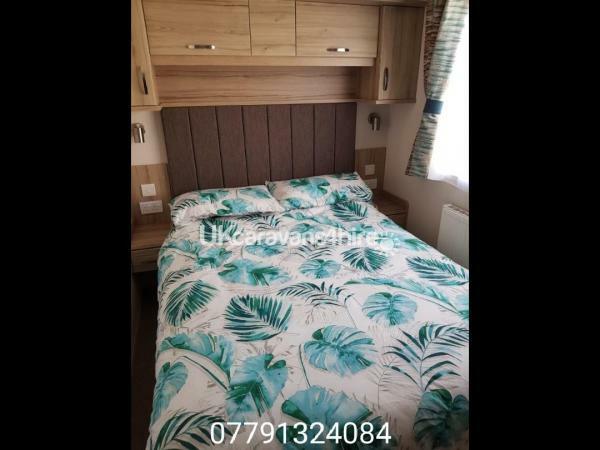 I found Dianne the owner of this caravan to most helpful and considerate, she is a pleasure to deal with and acts in both a courteous and professional manner, and she is a real people person and can’t do enough to help. 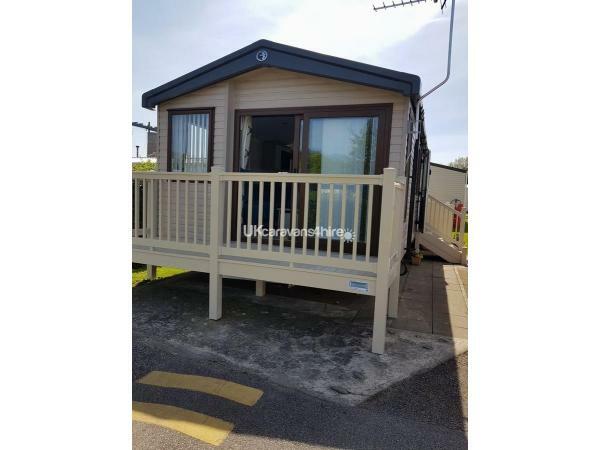 Her caravan is clean, inviting and well located within the park situated 3 minutes from the clubhouse. I will be using her accommodation again in the future if it is available and have no hesitation in recommending staying here. Thanks Di!